Despite being seen as trailblazers, Wong Fu Productions still self-funds many of their new projects. LOS ANGELES — When Wong Fu Productions hit 1 million YouTube subscribers in 2011, co-founder Philip Wang said he found out because his dad called him. With more than 3 million subscribers on YouTube now, and 500 million-plus views, Wong Fu Productions — created by college friends Wang, Wesley Chan, and Ted Fu — has ambitious credits to their name that includes multiple web series (including a YouTube Red series starring “Glee” alum Harry Shum, Jr.), music videos, and two feature-length films (their most recent one hit Netflix in 2016). The series is personal for Wang, now 32, who was inspired by shows like “Insecure,” "Atlanta," and “Master of None," shows that don't reflect his own personal story but that empowered him to make his own version — albeit without the backing of a studio. Almost as soon as YouTube appeared, Wong Fu was there, trying to find a way to make the most of a new platform that gave them free bandwidth and a reliable video player. Wong Fu’s YouTube channel, which launched in 2007, became a home for the group to post vlogs, music videos for rising Asian-American artists (most notably Far East Movement, which later became the first Asian-American group to top the Billboard Hot 100 chart), and short films that mostly starred Asian Americans — a casting decision that wasn’t a conscious thought process in the beginning. It’s a ripple effect that’s been tied closely with Wong Fu’s 15-year journey, both on and off YouTube: In 2009, a CNN feature on Wong Fu tied the group’s rise to the lack of accurate depictions of Asian Americans in the mainstream media – something their audiences were hungry to see. Two years later, the same year Wong Fu hit 1 million subscribers, the New York Times reported that three of the top 20 most-subscribed-to YouTube channels belonged to Asian Americans: comedian Ryan Higa, beauty guru Michelle Phan, and vlogger Kevin Wu (better known as “KevJumba”). Higa and Wu have both worked with Wong Fu. YouTube became so big so fast that kids now see this as a challenge to get into it, just like how I used to see it as a challenge to get into Hollywood. Of those three channels, all of which were started in July 2006, only Higa, who was the first person to reach 3 million subscribers on YouTube, is still active. With more than 21 million subscribers, Higa remains among the top 50 most-subscribed-to YouTube channels, which now includes musicians like Justin Bieber and talk shows like "The Ellen Show." 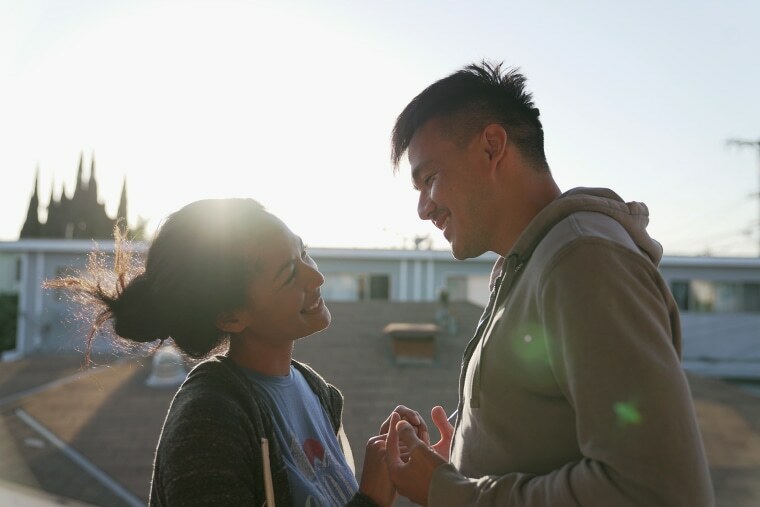 Wong Fu, though considered smaller, still actively releases videos alongside their multi-part series like "Yappie." But in the decade that Wong Fu has been on YouTube, the platform has changed and Wang knows he can’t ignore it. Having 1 million, or even 3 million, subscribers is not rare in 2018 anymore, and there are creators on the platform reportedly making millions despite facing controversy. “Yappie” is “not that complicated,” Wang says when asked to describe the series. It’s a show about a young man navigating life and understanding the ways being Asian has affected him growing up, whether he realized it or not. It was an idea Wang had for years as headlines about the lack of Asian-American representation on screen grew, but the challenges of getting it made became the center of frustration. “When I was going around pitching this show, I met with a lot of big production companies. I explained how ‘Yappie’ is a look at the modern Asian-American experience and how our social issues and identities intersect with our lives. A lot of the feedback I was getting was, ‘Why? What’s the hook?’ And I’m like, ‘That is the hook!’” he said. It’s a struggle that isn’t unique to a channel like Wong Fu, who is often seen as being pioneers of the platform and trailblazers for other Asian-American creators. For “Yappie,” Wang scaled his initial pitch back, focusing instead on just creating the show instead of trying to get a studio or a brand to bite. The series ended up being self-funded, which includes funds from Wong Fu’s Patreon supporters, and Wang hopes the five episodes they could afford to make are enough to spark interest in a second season. “This is the first time where we’re getting out of our comfort zone to try things we haven’t done before, which is talking about issues, talking about things that are more personal,” he said. But he knows “Yappie” won’t be able to address all of the issues — or the criticism about Wong Fu in general that has led Wang to come out swinging on Twitter in response to what he says are accusations of “white-worshipping." If you doubt our commitment to the community & our fight for representation, you're either delusional, just looking to argue, or are completely blind to all the work we've done on and off screen and I'm happy to see you out because ur hopeless. I won't miss you. Some of the criticism was focused on an Instagram promo that showed a Caucasian actor in the middle of the frame (the series’ cast is largely Asian American, and Wang explained the photo is a still image from the series that’s been misinterpreted); others in the YouTube comments for the trailer pointed out the lack of diversity in Wong Fu’s depiction of Asian Americans as being primarily of East Asian descent. Wang acknowledges he’s still learning, and "Yappie" is reflective of that growth. He describes his character, Andrew, as being “basic,” and says the series is meant to show the process of Andrew — and the audience watching — waking up and caring about his community. The culture has changed and we weren’t part of that, but I’m glad because we stayed focused to use it as a platform to tell our stories. And that’s a journey that may end up taking place outside of YouTube someday as the platform continues to change. The video trends that have catapulted other creators to the top in shorter amounts of time don’t necessarily interest Wang, which contributes to his perspective that Wong Fu still has a way to go. It’s one of the reasons he hopes audiences will give “Yappie” a chance, particularly at a time when the mainstream media has begun catching on to the need for Asian-American representation in Hollywood.